I made this necklace with a long white summer dress in mind...or maybe a pair of jean shorts and a white top...all I know is I was thinking summer. Summer, light and fun! 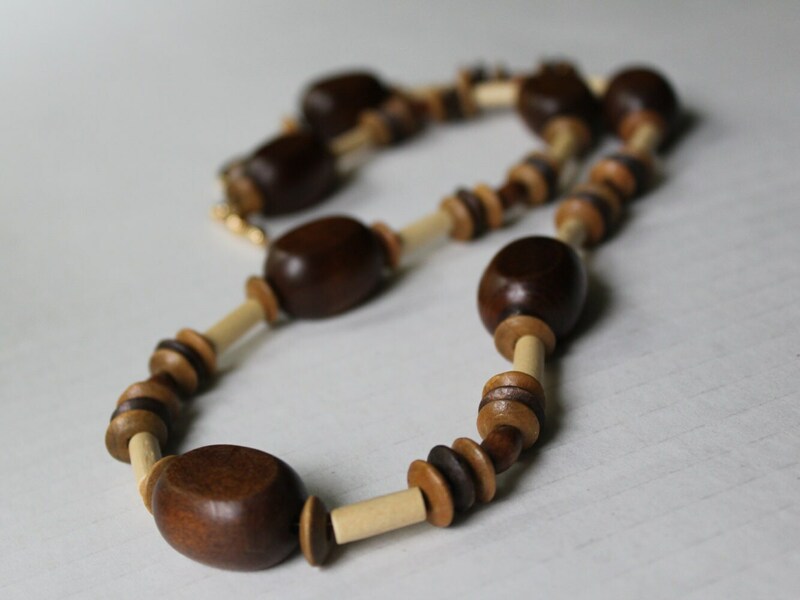 This wood beaded necklace measures approximately 25 inches long. If you would like it shorter or longer, please send me a message. 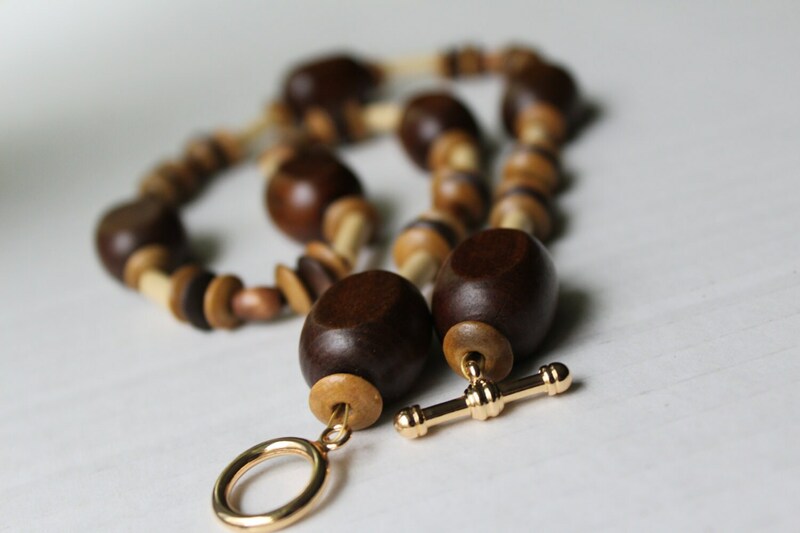 It also has a wonderful, comfortable, and simple to use toggle clasp for your convenience.